Today is the one year anniversary of Music Tasting, a milestone which might have passed me by entirely were it not for another site I visit regularly which is celebrating its second blogoversary. Despite having given it very little thought until this morning, I feel like I should mark the occasion in some small way. Compared with some bloggers out there I’ve produced very little content in a year, but it’s still a year’s worth more than was there the year before that. Mostly I write for me and so this site is primarily a diary of my own music discovery, but I’m happy that I’ve actually kept it up for twelve whole months. As anyone who knows me really well will tell you, I have something of a propensity for starting lots of little projects and not following through with them (yes, I am an INFP!) and therefore a year is definitely celebration-worthy in my book. Yeah. If only I had a cake that awesome. I would like the G flat please! As for presents – well, I’d like to give a present back to you, my readers and friends, as a thank you for coming to read the assorted ramblings I put here and then letting me know what you think. So I’ve decided to run a small competition, the winner of which will receive a $20 iTunes gift card to engage in some new music tasting of their own. I’ll run the competition for 2 weeks, so if you’re new here that gives you some time to read over the smallish archive. Entries close at midnight Brisbane time on Sunday 9 December and I’ll pick a winner the next day and contact you by email (thus you have to leave an email address with your comment). I don’t mind if you’ve been following me from the beginning or if this if your first visit to my site – I’d love to hear from anyone. The only condition for winning the gift card is that you have to live in Australia (or at least have an Australian iTunes account) – that’s unfortunately Apple’s condition on the back of the card, not mine. But wherever you are in the world you can still give me feedback and your reward will be the warm inner glow you receive from knowing you’ve totally made my day. As I reflect on some of the music I’ve loved or discovered over the past year, and think about what a difference it makes to my life, I’m really happy I started Music Tasting – even if it is only a small and fledgling little blog in a big wide world of blogginess. It makes me continually think about how music connects and bonds people, and transcends differences of all kinds. You and I could have absolutely nothing in common except the fact that we both love a particular piece of music and already we’ve found some common ground. Next year I’m hoping to spread the reach of this site a little wider, and start inviting a few people I know to write guest posts about their own musical stories, but in the meantime I’m content with what I’ve accomplished in a year of writing. Persevering with anything creative can often be really hard, and it makes me think of the quote from the ancient Chinese philosopher Lao-tzu who said “The journey of a thousand miles begins with a single step.” Well, to paraphrase that (badly), I guess you could also say that the journey of a thousand years begins with a single year. Although please note that I can say with relative confidence that I will not still be blogging in 3012. And so with that, here’s a song from the Piano Guys whom I only discovered this year. I don’t think there’s anything particularly profound about their cover versions of popular songs, but for some guaranteed feel-good music I really like listening to their piano and cello renditions. Enjoy, and thanks so much for being one of my readers! 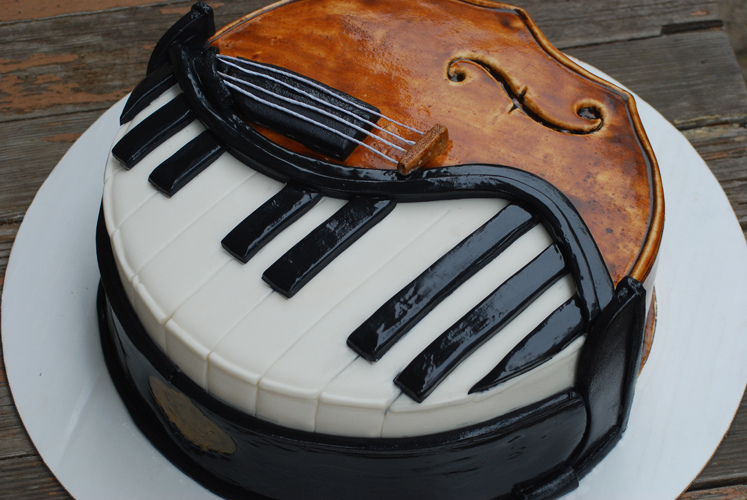 This entry was posted in Folk & Popular Music, Foundations, Orchestras & Instrumental Music and tagged birthdays, giveaways, Piano Guys. Bookmark the permalink. Happy Anniversary, I hope we delights many years!!!! Thanks so much for stopping by, Violeta! Your introduction/about me page. I read it when i was starting my own blog, and was impressed with how you explained yourself and your motivations for writing. It gave me a goal/model to work towards. My other fav is the one where you give the hearty soup/stew recipe (the one with olives). Because cooking to music is damn fun, and i think the arts should be enjoyed ‘holistically’, whatever the combo! Hi Bronwyn – congrats on one whole year of blogging! I think it’s great that you’re looking into the future and wanting to take it further! I wanted to add – my favourite post was your Finalndia one – I loved sharing that experience with you, and I could hear the music even before I clicked on the videos. Good stuff!!! The post about Prague had me so in awe that I’ve started saving to go there myself in March next year. Love the blog! Thanks Brian! Yes, Prague is a beautiful city, with plenty for the avid music fan too. Thanks for reading! Hi Bron, I like the posts about music in books the best. You read a lot more than me and you find such interesting books. Overall, I like that you put classical music into everyday life. I imagine that lots of people think that classical music is for snobs in concert halls but it surrounds us everyday, in books, foreign cities and even cooking. Thanks for the stories.